I know what simits are: they look like this and are sold on every street corner. 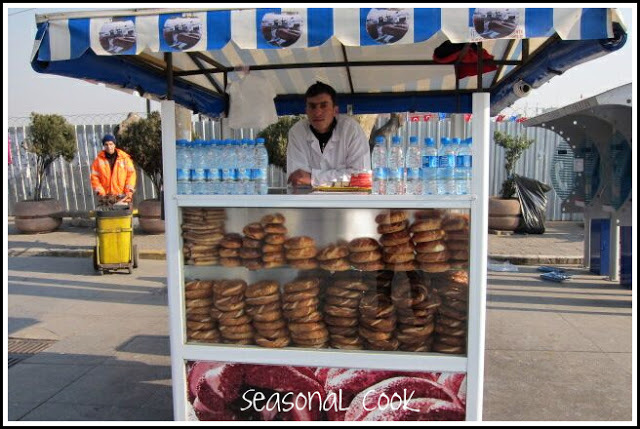 The Turks’ answer to hunger pangs on the go! It was my friend Oya who told me about these simits. She said I really must try them so I did! 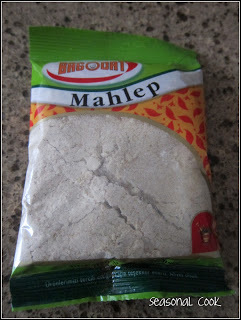 I asked her where to find mahlep and she said that any supermarket would have it with all the other spices, and she was right! There in my small local Migros, there it was, right there! How come I had never noticed it before? 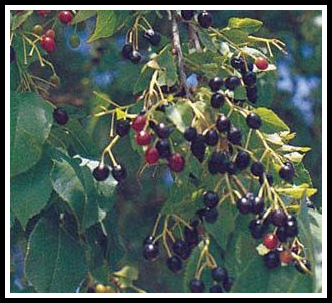 I have since discovered that mahlep (or mahlab in the original Arabic) is a fragrant spice made from the seeds of the St Lucie Cherry, a very dark, very sour cherry which appears on the mahlep tree in late summer. It has been used for centuries throughout the Middle East to give an aromatic flavour to pastries of all sorts: the cherry stones are cracked to extract the tiny seed kernel which is ground to a powder before use. The flavour is something like a combination of bitter almond and cherry. 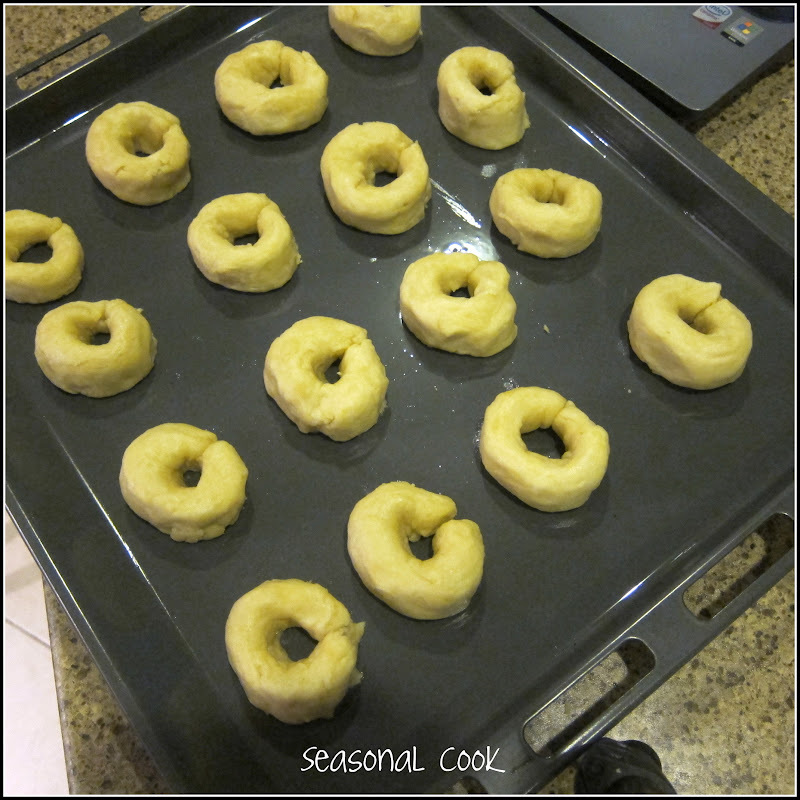 · Pre-heat oven to 180°C/350°F. · Place the mahlep, salt and sugar, the sieved flour and baking powder into a mixing bowl. 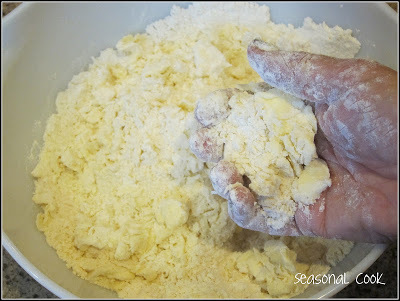 Add the butter cut into small pieces and rub into the flour mixture with your fingertips. 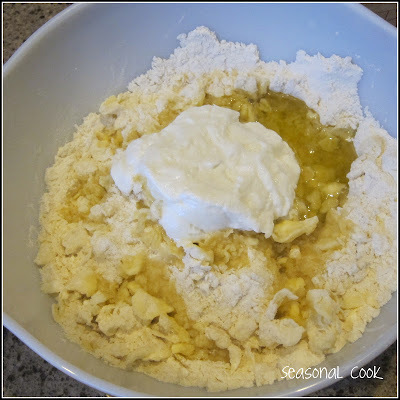 · Add the vinegar, olive oil and yogurt and mix to a soft dough. Cover and place in the fridge for 1 hour. · Remove. Take small pieces and roll them in your hands into long rounded shapes. Bring the ends together to form a ring (simit). 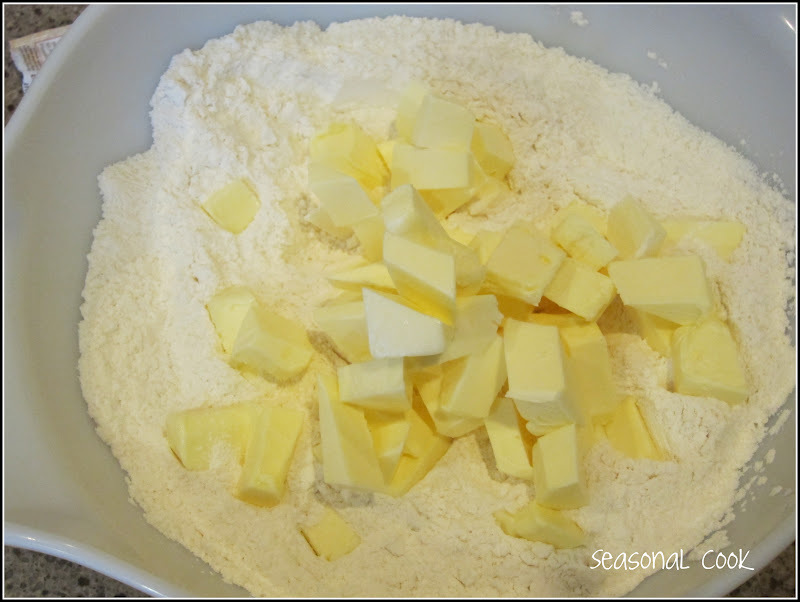 Place on an ungreased baking tray. · Brush with the beaten egg yolk and sprinkle with sesame seeds. 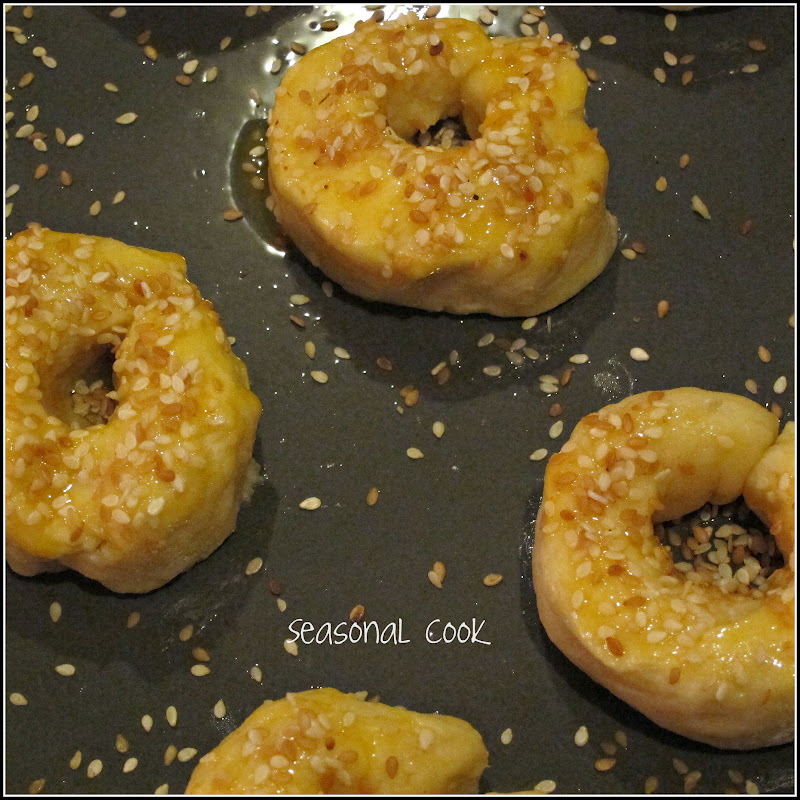 · Bake until risen and golden. Best served warm with tea! You may think a spoon is a spoon but no. Theirs are different! a) The obvious one is a teaspoon: a Turkish teaspoon is much smaller than our English teaspoon: exactly half to be precise – 2 ml. (Ours is about 5 ml). In Turkey soup is eaten with a yemek kaşığı – our regular old tablespoon. This isn’t really as confusing as it may look! Just if you are curious. I first herd of mahlep from Aglaia on the island of Kea in Greece. It sounds similar to Duqqa which as far as I know is of Egyptian origin. It sounds wonderful sprinkled on these. It must be the same thing then. But I don't know Duqqa …are you familiar with the penzey site by any chance? It looks great. I can't wait to try this recipe! 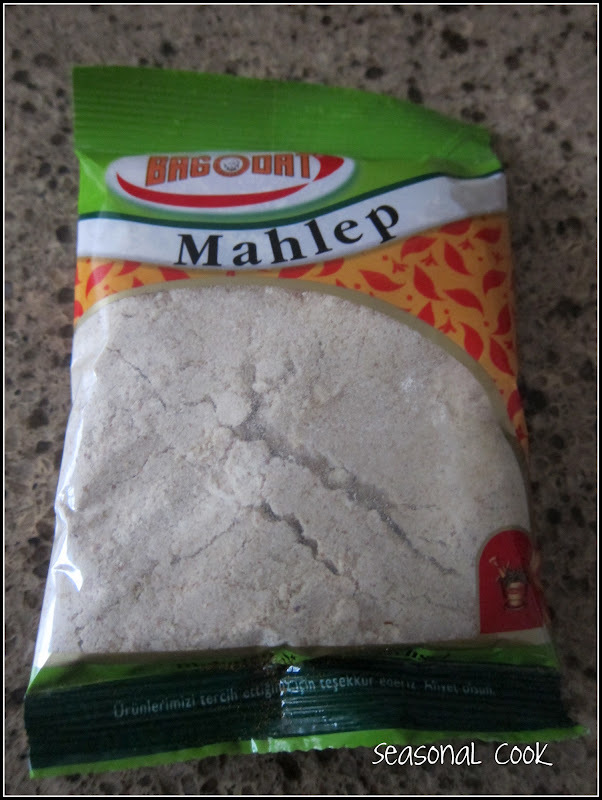 I just bought some mahlep a couple of weeks ago at a local Persian market out of curiosity after seeing it in a recipe that I DIDN'T copy…. hmmph! Penzey's is a great store and I'm lucky enough to have one just "down the hill" from me – my spice shelf is overflowing with little jars of their spices. Yikes! 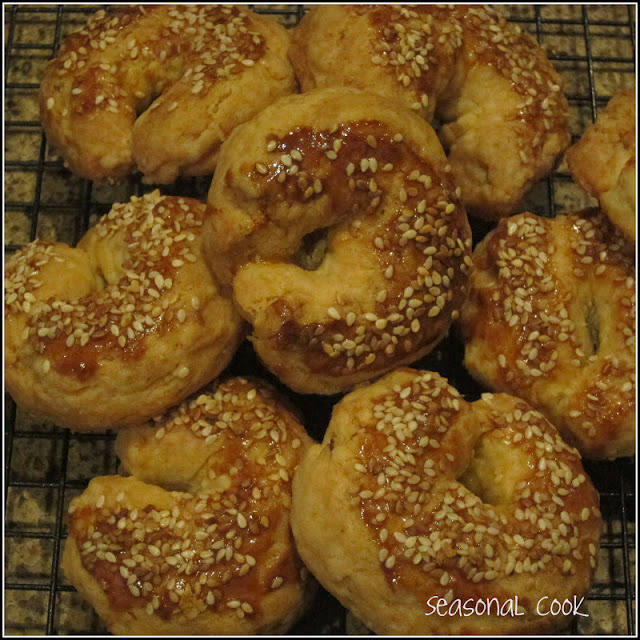 By the way, I love your site and have been going through all your recipes to find gems to enjoy! I was in Turkey last May and fell in love with the country and the food! I can't wait to return, but need to save some $$$ first! Hi Jane C! I'm like you: if there is something new or different, I just have to try it! Good to hear more about Penzey's too. And finally, thanks for those kind things you say about my blog and Turkey generally! Nice to hear. They look amazing.. so delicious. Great recipe. Ciao! 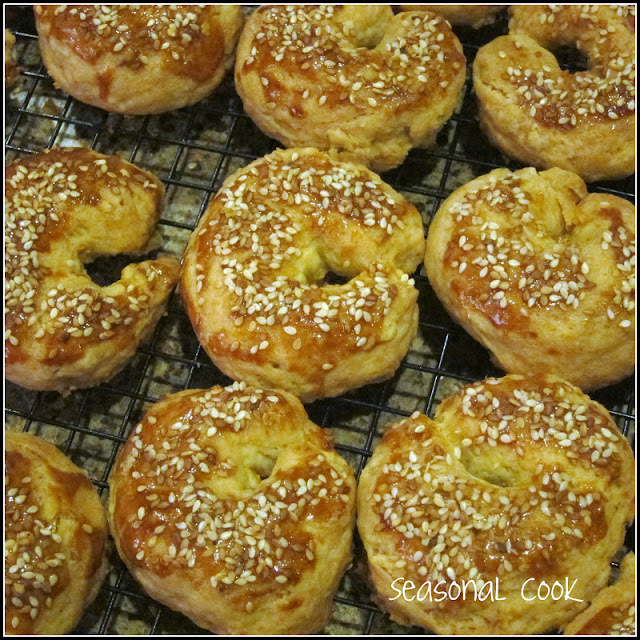 The foods of Turkey and your cooking are so exotic and I would love to try these dishes.